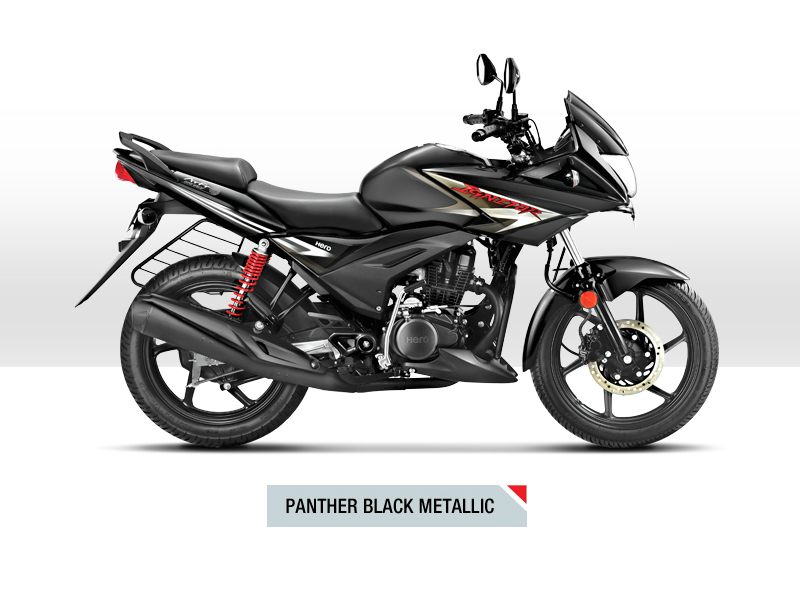 Among the various successful products from Hero, the Ignitor 125 is yet another trendy and stylish bike. This vehicle proudly carries the characteristic feature of the company in more dignified and contemporary manner. The powerful engine, quality design and greater comfort assured by this motorbike make it popular among crowd. With all its elegant and classy features the Hero is confident of attracting large number of youths. Ignitor 125 is powered by new generation 125 cc ATFT engine which comes with four strokes, single cylinder, OHC (Overhead Camshaft). The maximum power generated from the engine is about 11 Bhp at 8000 rpm and the highest torque achieved is 11 Nm at 5000 rpm. The five speed gearbox used in this bike helps in transfer of power generated to wheels. This new and attractive product of Hero Motocorp is sure to attract customers by its stunning looks and quality materials used. The trendy and contemporary design of the bike including the headlamp, tail lamp and digital instrument panel serves seeks the attention. The sporty graphics on its curvy body, comfortable rider and pillion seating are few more things never to be missed out while discussing its design features. Riding an Ignitor 125 is an all new welcomed experience. The vehicle assures smooth, trouble free ride because of its quality suspension system including the front Telescopic Hydraulic Shock Absorbers	and the rear Swing Arm with adjustable hydraulic shock absorbers. Further the front disc brakes and rear internal expanding shoe type brakes give complete control of vehicle to the rider under any situation. The well built design of the bike makes it the fuel efficient thus offers a good and descent mileage. The premium quality bike Ignitor 125 is available in various shades namely Pearl White, Vibrant Blue, Sports Red and Panther Black Metallic. The ex-showroom price for the base model of the vehicle is about Rs. 55,900 and for the top end will cost Rs. 57,900.